What does "high performance" mean? It means that Point Zero is dedicated to building the next generation of homes that are more efficient, healthier, and achieve a real sense of comfort. They are not just energy efficient, or simply green, they utilize thoughtful architectural design, superior building systems and integrate smart technologies to create a "Better Home from the Start." Technology and innovation have driven improvements to nearly every industry in the last fifty years, including home building. 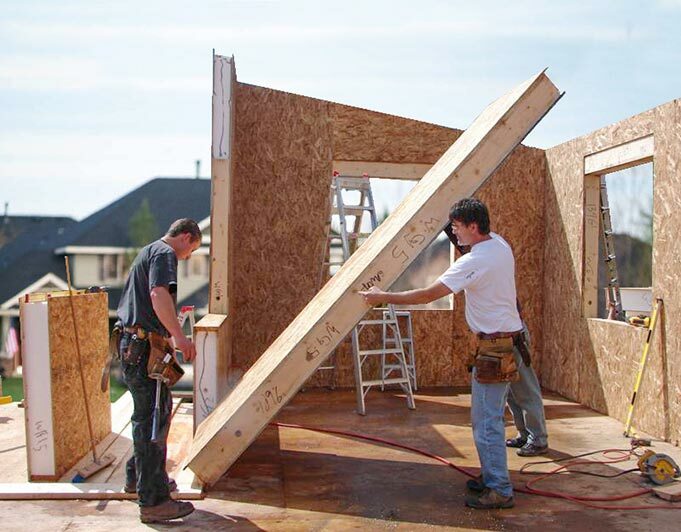 Advancements have resulted in prefabricated homes that are constructed faster, with more precision, while reducing waste. Point Zero prefabricated houses combine the best of prefab with superior insulation values to create homes truly fit for the 21st century. Thoughtful architectural design is vital for building an efficient, comfortable home. From the aesthetic of the exterior and the flow of the layout to the incorporation of natural light, Point Zero designs homes with purpose. Review our floor plan concepts and get an idea of what our award-winning design team can create for you. 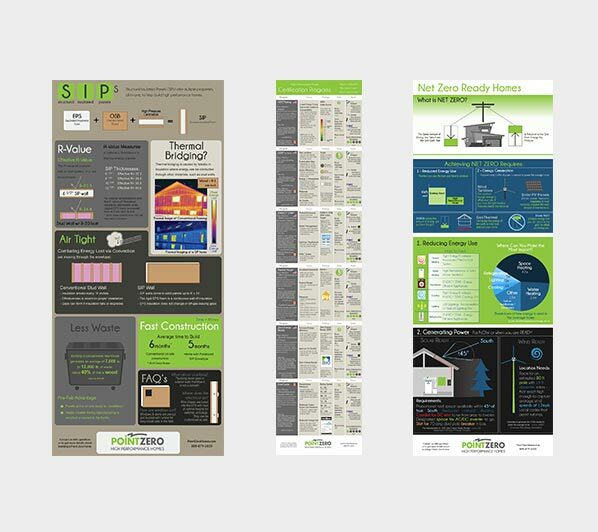 We produce a series of infographics that help explain some of the most common topics related to energy efficient homes. So if you would like to know more about SIPs, learn how to achieve net zero, or review the green certification programs available, you should check these out. Soon we will have a prefabricated home infographic as well as one on ICFs. If there is a topic you would like to see covered, please let us know.